Why Not Me? came in my October Popsugar Must Have subscription box and, as much to my surprise, I’m glad it did! 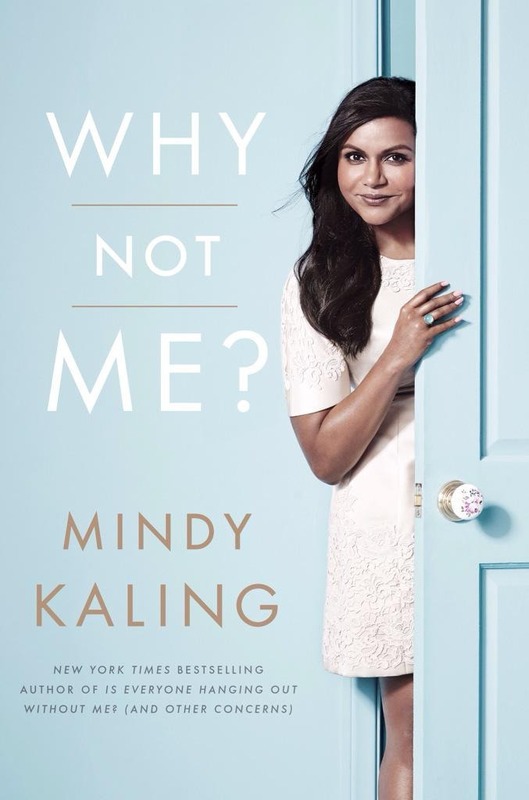 Before I read this book I liked Mindy Kaling just fine. I’ve found her moderately funny and wouldn’t walk out of a club if I happened to see her doing stand up, but I also wouldn’t go out of my way to see her. I’m also not generally the hugest fan of comedy books. As I noted in my review of Seriously . . . I’m Kidding by Ellen DeGeneres, it’s been my experience that this genre is much more suited to an audiobook format. So imagine my surprise when I loved this book! What I thought would be a slightly cringe-inducing over-zealous attempt to be funny, and would inevitably fall flat and read as though Kaling was trying way too hard (which has been my experience with most “funny” books I’ve read) was actually legitimately funny. While it’s true that I found this book funny, it’s also true that it’s a very specific type of humor. I can think of many people who would find this book hilarious, but I can think of more who are not in the target audience and would not be charmed by it. I easily could have been put off by the Hollywood stuff, and in fact that was partially responsible for the slight dread I had when I started reading this. I’m not particularly interested in celebrities, and I’m definitely not interested in out-of-touch people trying to connect with us plebeians, but there was neither tons of annoying celebrity stuff, nor any out-of-touchness. After reading this book I immediately started searching for other “funny” books. Clearly I’ve been missing out! This entry was posted in book reviews, pop sugar must have, subscription box reviews and tagged book review, essay, kaling, memoir, non-fiction, popsugar must have, subscription box reviews. Bookmark the permalink.